We're not 100% sure when cauliflower became the vegetable du jour, but we're pretty glad it did! You might not expect this little vegetable to be as lauded as it currently is but it actually has some really amazing flavor, especially when you employ one of these 17 kitchen skills and roast them with a bit of olive oil, salt, and pepper. But that's not all it's good for. Cauliflower can be riced, mashed, pickled, roasted, or blended, like you'll see in these super-creative recipes. Sure beats the heck out of kale! You're craving wings but you don't actually want to have all the fat and calories that go along with them. It's OK! Indulgence is good but moderation is, as they say, "key." 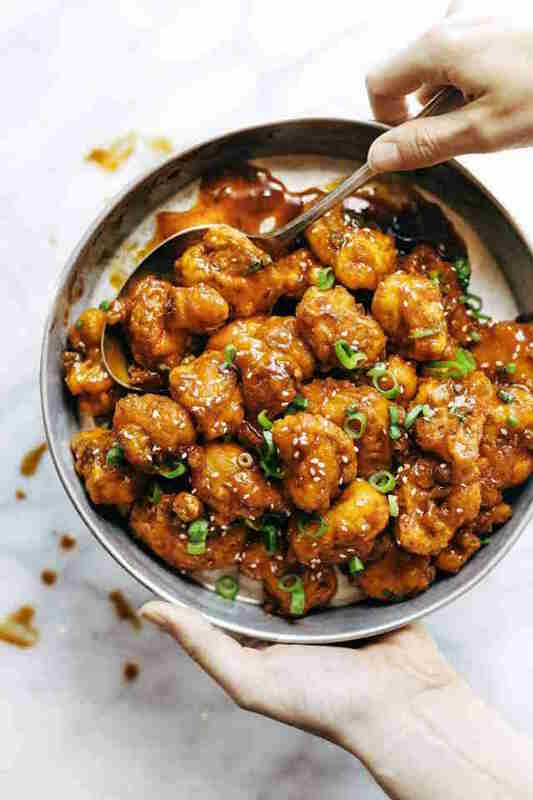 This recipe for Buffalo cauliflower has all the components of a crispy wing, without the guilt, and is ready and on the table in 30 minutes or less. Recipe here. 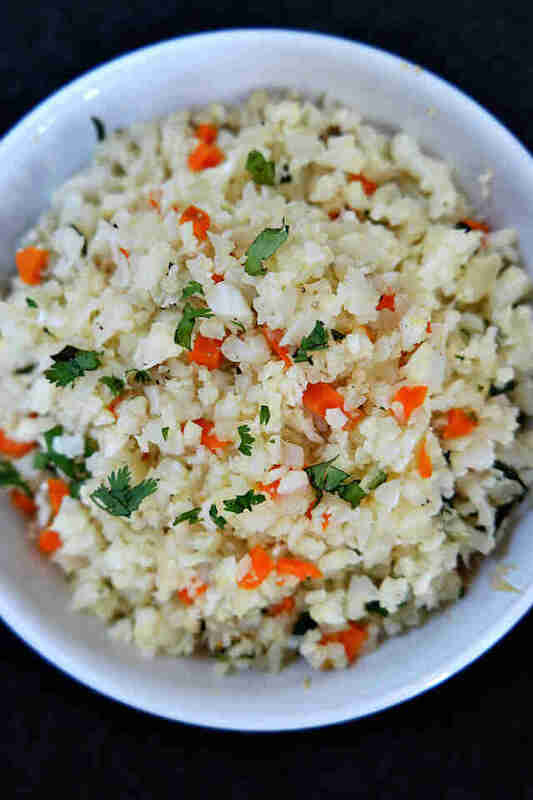 OK, first things first: cauliflower rice is still cauliflower. Meaning it won't taste like rice, it just looks like it and can be treated similarly. Pulse a head in the food processor a few times or grate it with a coarse cheese grater, saute with veggies, then add chicken broth to steam. It's lower in fat and calories, has more nutrients, and is pretty damn tasty in its own right. Try it out with the recipe here. Cauliflower is a great substitute for potatoes. These "tater" tots are made with pulverized or chopped cauliflower, onion, Parmesan cheese, egg, and breadcrumbs. They're super healthy but they don't taste like it! Recipe here. 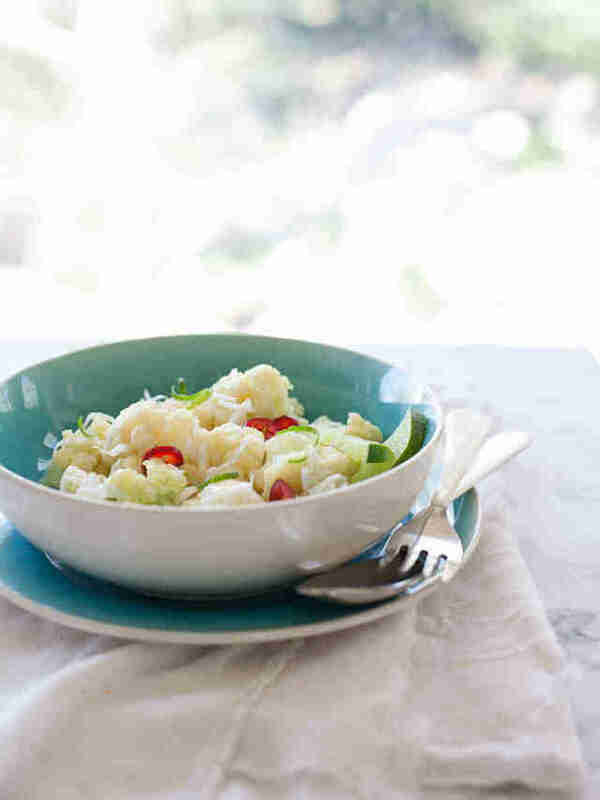 If you like Thai food (or any of its flavor components), then you'll probably love this coconut cauliflower. The lime and jalapeño give it a nice punch of heat and citrus, while the fish sauce offers that unique flavor no one can really put their finger on. Plus, it's easy to throw together. Note: don't smell the fish sauce before using it. Just use it without thinking about it too hard. Recipe here. 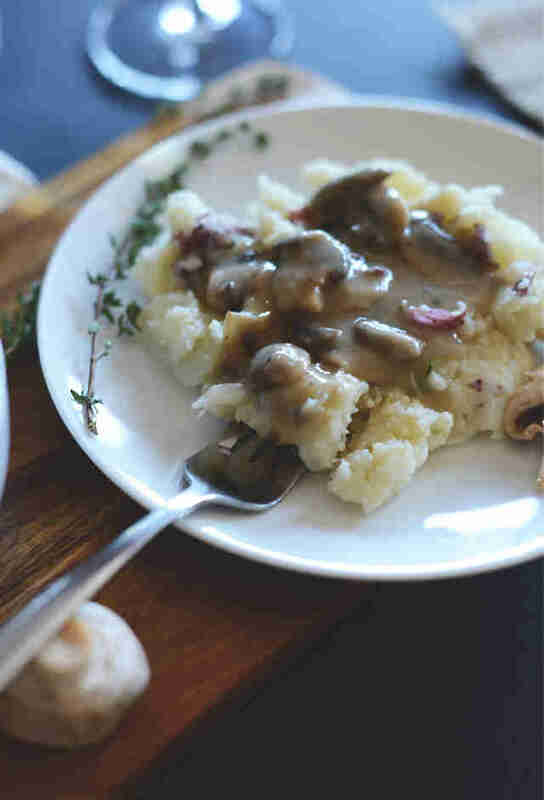 To be perfectly honest, the draw of this recipe is probably the mushroom gravy more than the cauliflower. You could put that on a flip-flop and it would probably make it taste great. 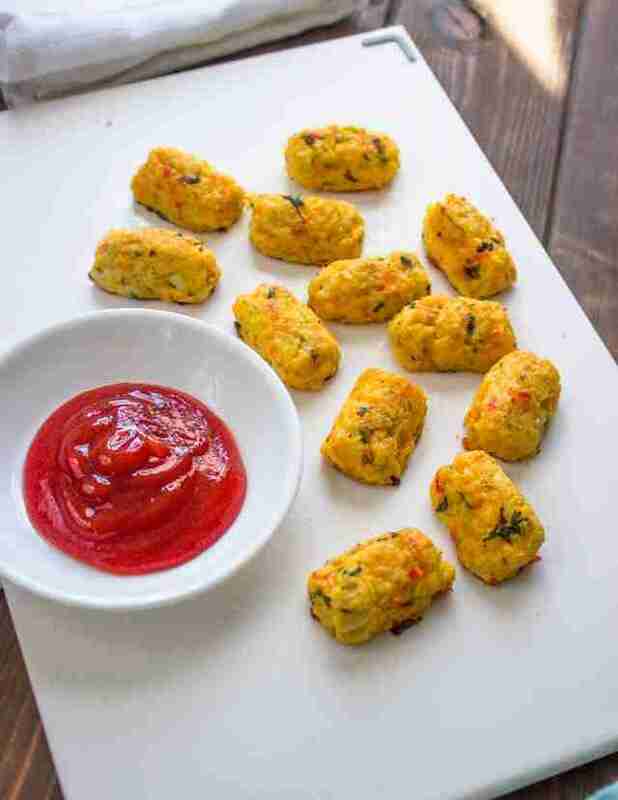 This recipe is simple, delicious, and happens to be vegan. You can use real butter though, if that's your thing. Recipe right here. 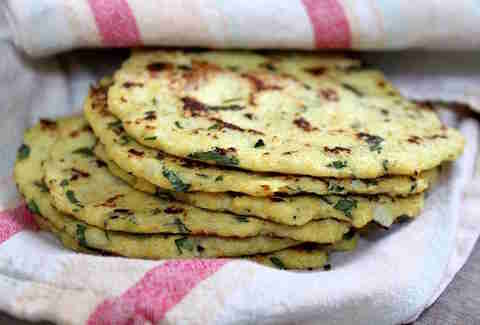 Proving its versatility even further, cauliflower can also be made into a tortilla. 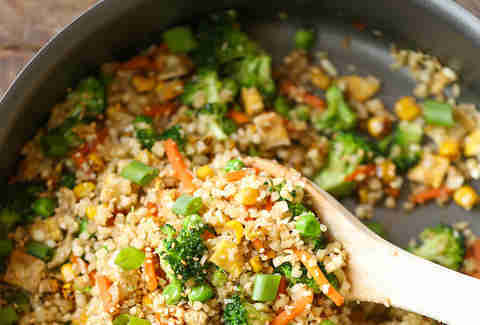 Adapted from a Paleo cookbook, this recipe is as simple as it is tasty. They aren't fried, but rather crisped up in a dry pan just to add a touch of that golden-brown look. Check it out here. 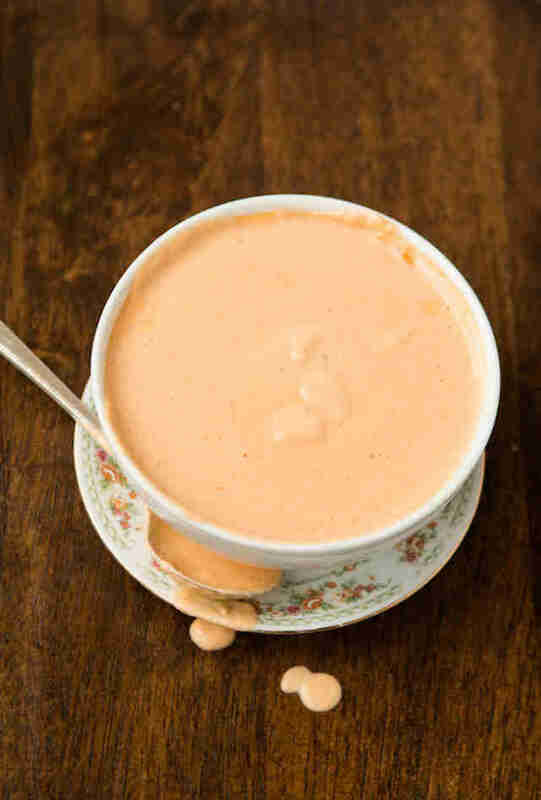 This cauliflower soup will make you want to nix the canned stuff forever. Cauliflower blends up wonderfully in soups, and this one adds not one, not two, but three cheeses! And a hint of tomato and cream, which makes the texture even more amazing. Get the blender out and make this recipe. This recipe is inspired by a menu item from one of the best restaurants in Sydney, Australia, so if you're entertaining, you can pretend to be really cultured. Bonus points if you've actually been. 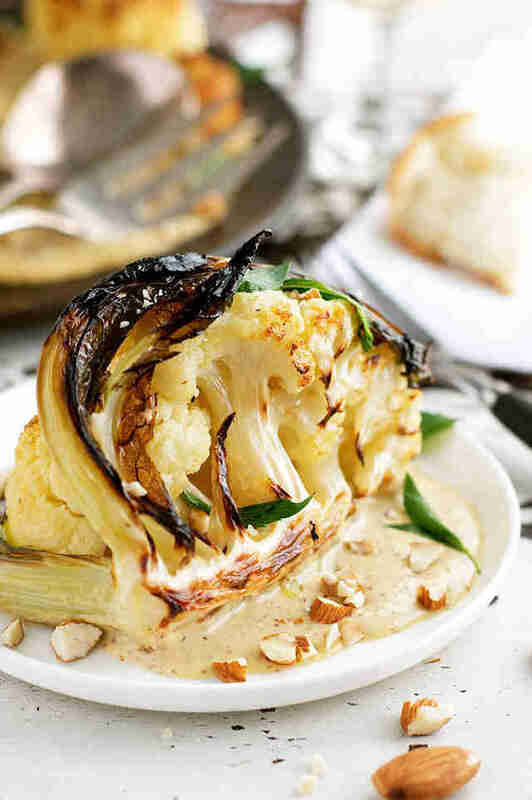 It's, plain and simple, a roasted whole head of cauliflower with almond sauce. You can drizzle whatever sauce you like over this -- we think it would go well with pesto, too. Start roasting with the recipe here. This is great for a few reasons: one, it's low-carb and gluten-free; two, it has its own flavor; and three, you don't have to wait 20 minutes for it to cook through. Win at every turn with this recipe. When you read the term "fritter," you know it's going to be good. Probably because you know it's going to be fried. And if we've learned anything by now, it's that cauliflower and potatoes go really well together. In this case, they go so well that you won't even be able to tell there's cauliflower in them. Recipe here. This recipe, adapted from Fine Cooking magazine, adds interesting spices like coriander, cumin, and mustard seeds. After toasting in a pan for a few minutes to bring out the flavors, they are heated together with cider vinegar, onion, salt, and water to make a brine. 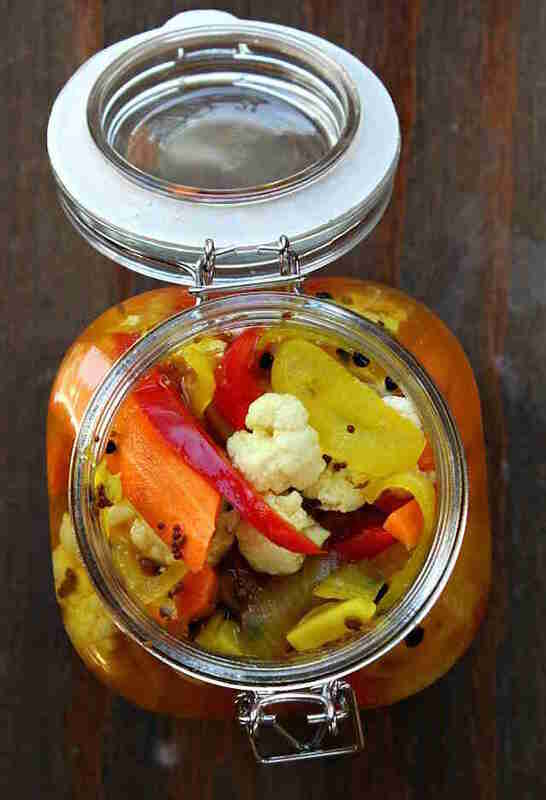 You can add other veggies like carrots and peppers, too. Get the recipe here. For those of you who didn't know that this was a thing, well, now you do. And you're welcome. It's crispy, it's chewy, and it's GOOD for you. Did we mention it's naturally gluten-free? And comes together in 30 mins? That's quicker than delivery in most metropolitan cities. Top with whatever you want but this one uses a plethora of veggies, pesto, feta, and mozz. Get the recipe here. This one does take a little bit of time to batter, fry, and coat in the sauce, but it's so worth it. 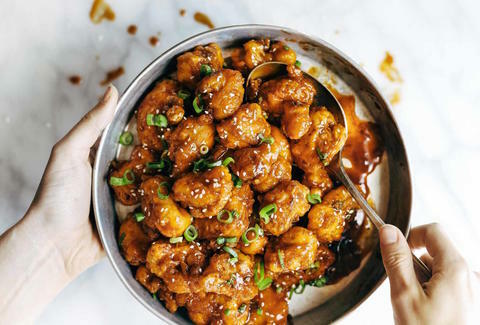 The crunchy bite of the fried cauliflower with the sweet and slightly spicy sauce is just perfect. Recipe here. Usually shawarma is made with meat, but it's really about the spices -- an aromatic combo of things like cumin, garlic, cardamom, and sumac (that’s another one you need to bring into your cooking repertoire more often). This recipe also makes a chickpea pita bread to go along with it, which is dairy- and gluten-free, if you're into that sorta of thing. Spice things up with the recipe here! !